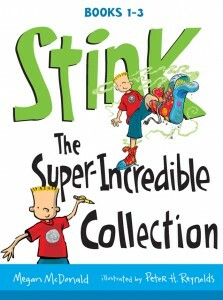 Stink and the World’s Worst Super-Stinky Sneakers | Stink Moody! 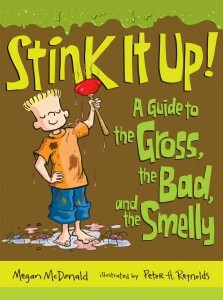 Follow your nose to a hilarious Stink-fest no kid will want to miss! 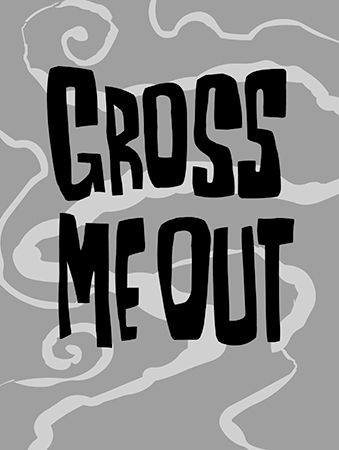 GROSS ME OUT! 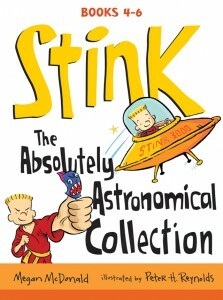 STINK-O! SKUNKSVILLE! 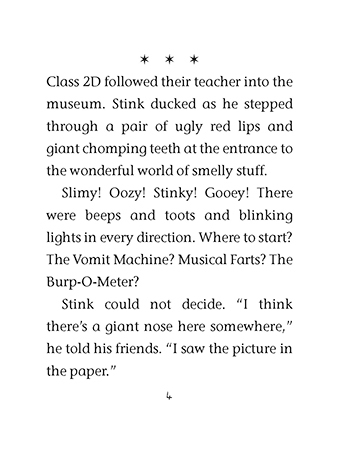 Stink Moody's class is going on a field trip to the Gross-Me-Out exhibit at the science museum, and he can't wait to see the Vomit Machine, the Burp-O-Meter, and the Musical Farts. 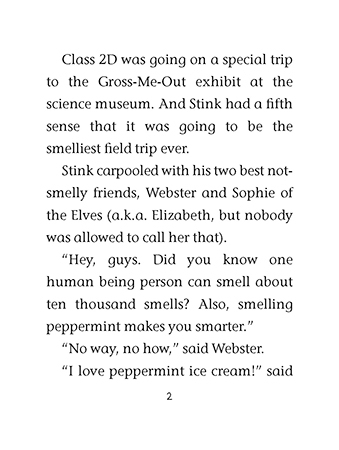 Best of all, when he gets to the Everybody Stinks exhibit, Stink discovers that his very own nose has amazing sniffing abilities -- and he learns that some people have real jobs sniffing stuff for NASA! 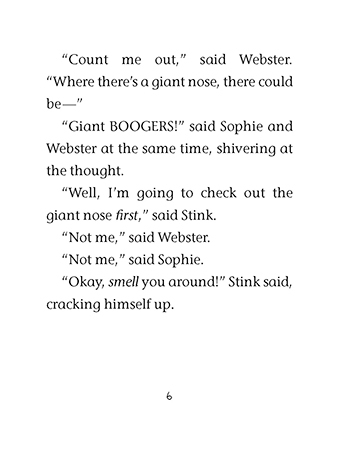 Soon the junior olfactory wiz is engrossed in toilet water, corpse flowers, and all things smelly, and he and Sophie of the Elves are set to go toe-to-toe in a stinky sneaker contest. 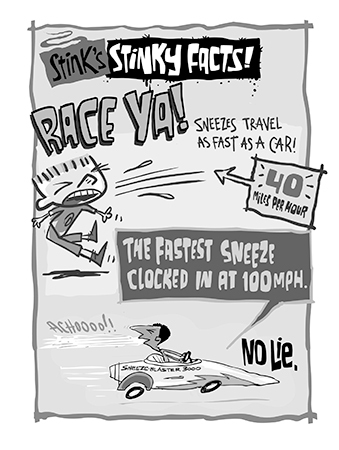 Will Stink's fetid footwear be foul enough to earn him a Golden Clothespin Award? Stink's loyal fans will be holding their breath for his latest outrageous solo adventure. 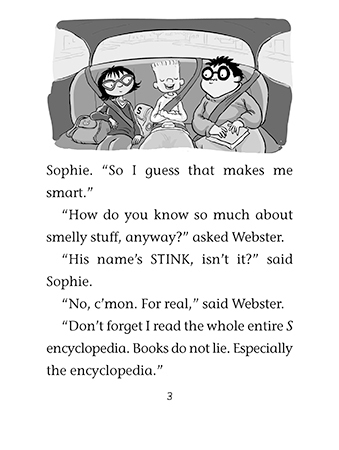 HomeBooksFun Stuff to DoTop Secret StuffTeachers & ParentsThe CreatorsGet Slimed!